Designed with all the lethality of the bigger Interceptor Series, the new Vindicator offers a unique covert design that can be conveniently carried almost anywhere on the body. With an overall length under ten inches, its design redefines concealable utility and lethality. A new broadening-blade design and double-edged tip offers extreme penetrating capability in a compact package. A deep belly and recurve design allows for an extreme, almost sword-like hollow grind that provides a disturbing cutting capability. The edge bevel is an extreme, nearly razor edge 70 degrees. Can be used as both a thrusting and slashing close-in, defensive weapon. The serrated top edge offers a much broader edge radius, and is designed for hard use cutting and hacking, preserving the razor edge of the main blade. The back taper of the broadening penetrator tip is beveled as not to catch on bone or clothing when withdrawn from the wound. Unique handle design incorporates paracord wrapping channels that allow user configuration of overall handle thickness. Ideal for those with large hands that wish a greater grip thickness than normally available. 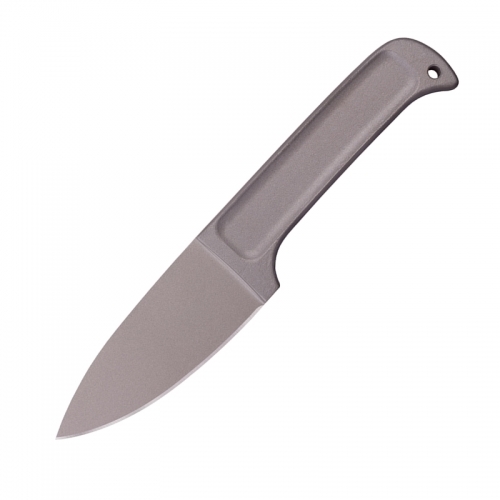 Beveled grip serrations at all user contact points provide outstanding grip in grave situations. 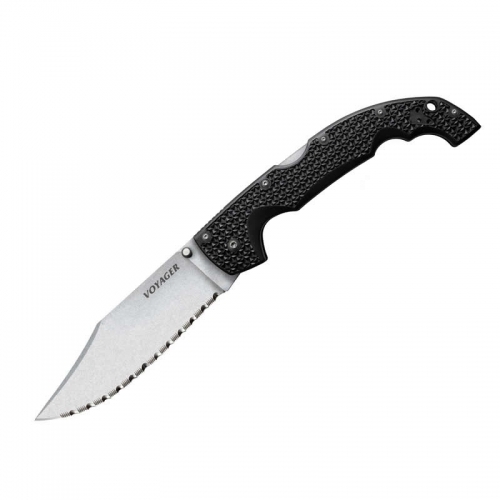 The tapered and grip-serrated thumb ridge provides a broad reverse grip surface typically unavailable in shorter blade designs. Broad hilts keep the hand from-oversliding onto the blade should the user hit bone in a thrusting maneuver. Lethal, concealable. May be illegal in certain jurisdictions. For Professional and law enforcement use only in dual edge configuration. Total Length: 10.25 in. Weight: 7.8 oz. 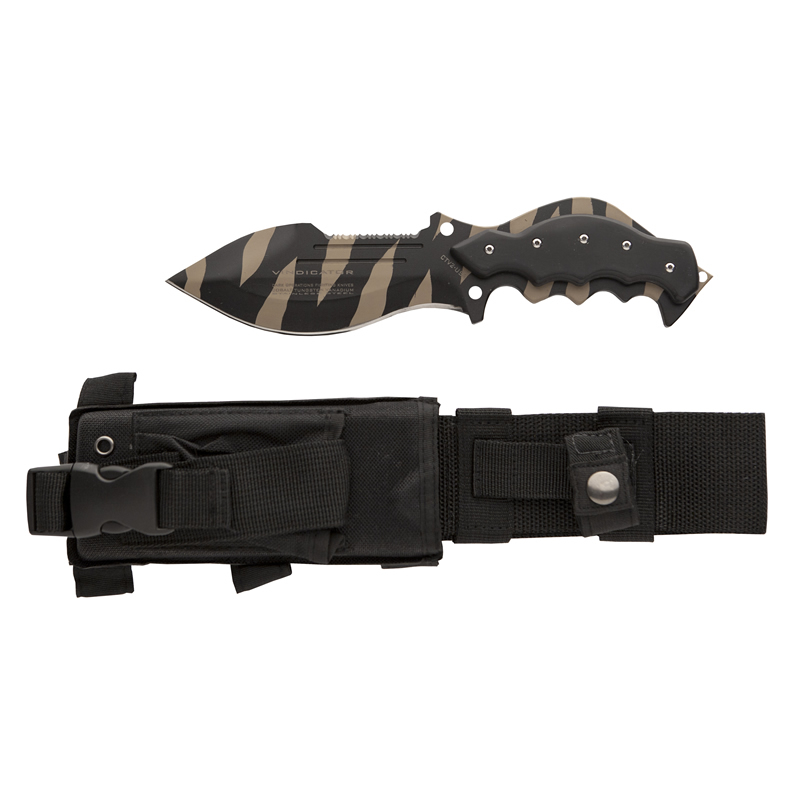 Blade Thickness: .25 nom Blade Steel: CTV2 Stainless Steel-Desert Shark Finish Sheath Configuration: Waist, Shoulder, MOLLE, Thigh or Calf Carry.